and is not employed by nor associated with SquareSpace or its services. Posh Site Customizations serves to customize already-made SquareSpace Templates. 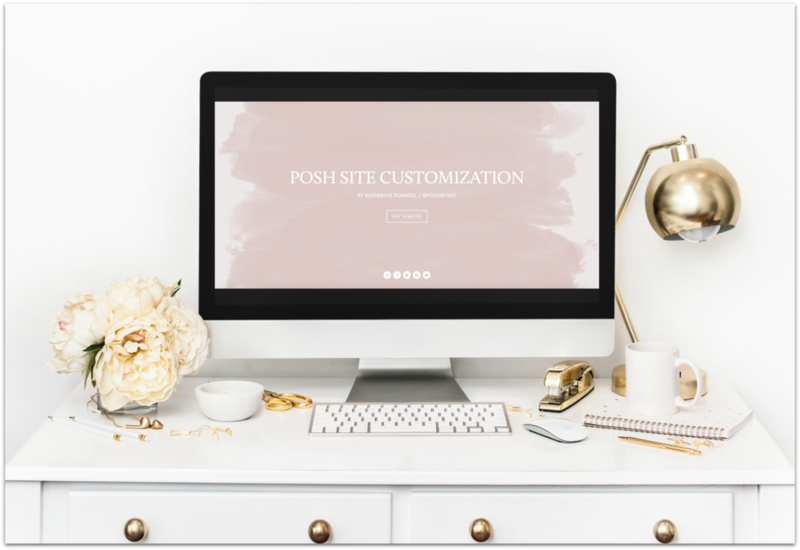 Posh Site Customizations provides One-Time Services. Meaning, once website has been created to completion, we are not responsible nor obligated to continue maintenance or service. Posh Site Customizations is not responsible for any indirect, special, incidental, exemplary, punitive or consequential damages; such as but not limited to: Loss of data, loss of profits, revenue, goodwill or other intangible losses, loss of access, inability to access, limitation or interruption of services, User Content, Third Party Applications/access, and eCommerce user. Cost of SquareSpace Monthly hosting and/or domain, is separate from Posh Site Customizations Services and it's not included in my Services or Packages. Client is responsible for purchasing their domain and hosting services. This is to avoid handling your personal billing information for secure measures. All Payments must be made before work is started. you are consenting to the terms above.